IT Personnels who constantly deal with Active Directory in their organization's networking environment or those who are still beginners to Active Directory. Register before 11 Mar 2019 for only RM1,390 per person. Register before 03 May 2019 for only RM1,390 per person. Register before 25 Jul 2019 for only RM1,390 per person. This 2 days intensive hands-on workshop provides students an introduction to Active Directory server roles in Windows Server. 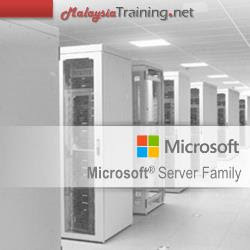 The course is intended for entry level students who want to get familiar with the Active Directory server roles and their basic functionality. Understand organizational units (OUs) and containers. Active Directory isn't what it used to be! What does AD CS do/provide?